Spectacular and charming; this cottage style home and guest annex is located in one of the most picturesque parts of Martha's Vineyard. 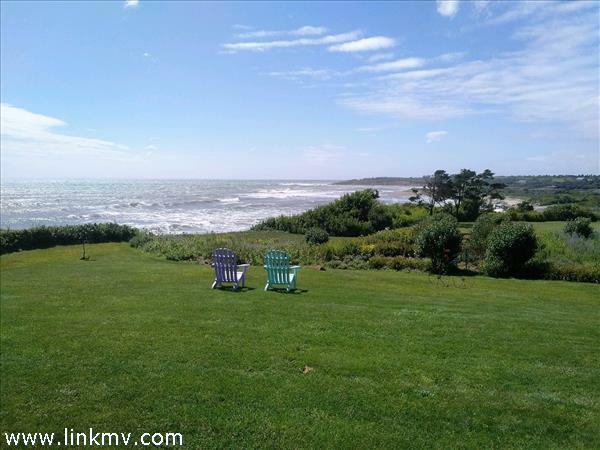 This home is full of character with access to private beach just steps from the home and unforgettable ocean views from nearly every vantage point on the property. The main house offers a large gourmet kitchen, amazing patio space for outdoor dining, quaint bedrooms and several entertainment and gathering space. The recently constructed guest annex and garage space is tastefully done with room for overflow family and friends.